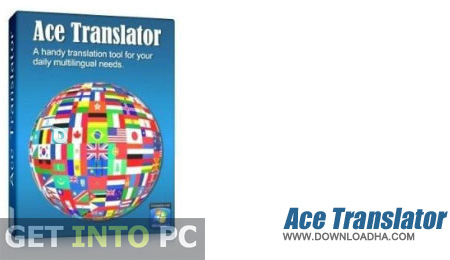 Ace Translator Free Download Latest Version Setup for Windows. It is full offline installer standalone setup for Ace Translator for 32 bit 64 bit version. In this 21st century the world has become a global village and communication between the people of different origins have become more easy. Now people interact more with other people from different origins and culture and of course who speak different languages. Gone are the days when you needed to master the alien languages in order to interact with people or to gain knowledge from their research papers and books. 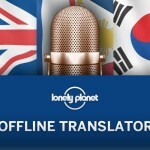 Now there are lots of translators available on internet that will translate content into different languages. 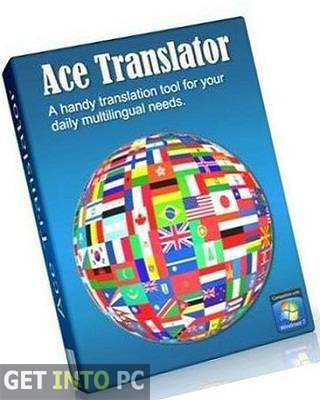 Ace Translator is one such tool which is capable of translating over 72 languages. The questions may arise in your mind that why should we go for Ace Translator when there are many other Translators available which do the same job of translating to different languages. Well Ace Translator not only translate a sentence or phrase but a whole document can also be translated whether it is a word file or PDF file. The translation of the whole document is easy and quick and there are no errors in translation. You can also download offline Translator if you are intended to use fully offline. The interface of Ace Translator is very simple and straightforward looking which makes it a very easy to use application. It is such an easy to use that even people with a very little know how about PCs can also manages to use it and can translate words , sentences and even whole documents. A Text To Speech (TTS) feature has also been included in Ace Translator for over 45 languages. Now you can also listen to the translated text which is a great thing while learning new languages. 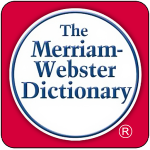 The translated speech can also be saved as mp3 file for future use. On a conclusive note we can say that Ace Translator is one very useful tool for translating whole documents into many different languages. Below are some noticeable features which you’ll experience after Ace Translator free download. Can translate more than 72 languages. Can translate whole docs whether in Word format or PDF format. TTS (Text To Speech) feature supported. 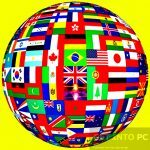 Can save translated speech into mp3 file. Before you start Ace Translator free download, make sure your PC meets minimum system requirements. Click on below button to start Ace Translator Free Download. This is complete offline installer and standalone setup for Ace Translator. This would be compatible with both 32 bit and 64 bit windows.